This is a superb introduction to trekking in Nepal , among some of the most beautiful scenery in the whole country. Lying 30 km north of Kathmandu , Helambu is the most accessible trekking region in Nepal . The trek starts from Syabrubesi, after driving 150 km from Kathmandu . The trail gradually ascends upstream along the Bhote Kosi River , passing through the forests of the Langtang valley to the alpine meadows and yak pastures around Kyangjin. After an ascent of Kyangjin Ri [4350m. 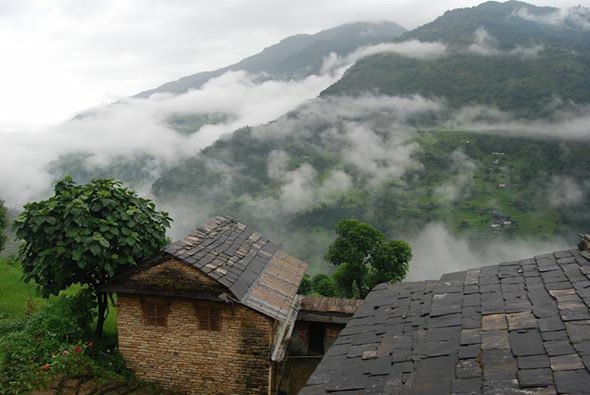 ], from where the 360 degree mountain views are truly spectacular, the trail goes to Thulo Syabru. From here, we further trek to the sacred Gosainkunda Lake situated at an elevation of 4336 meters and to Kathmandu via the lovely Helambu region. This trek is quite demanding. It involves approximately 6 to 8 hours of trekking on up and down well marked trails. No previous experience is required, you should be moderately fit, used to some regular exercise and enjoy walking in the high altitude conditions.